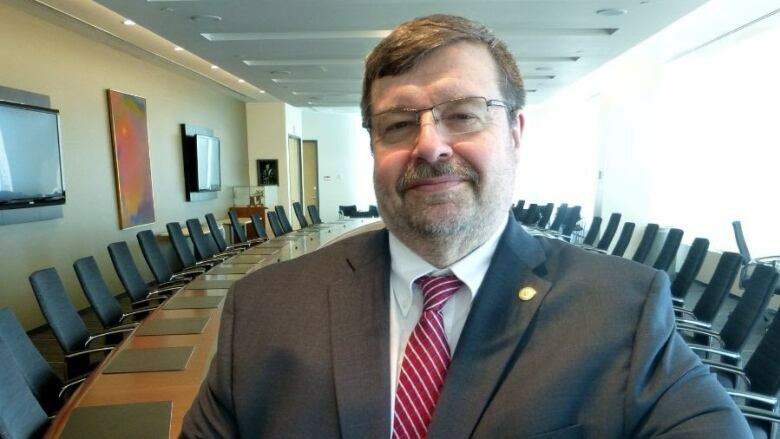 Laurentian University names Robert Haché as school's new president and vice-chancellor. He'll take over July 1st, from interim president Pierre Zundel. Laurentian University in Sudbury has named its new president and vice-chancellor. The board of governors for the post secondary school has appointed Robert Haché to the position. He'll begin his new job, as the school's 11th president and vice chancellor on July 1. Haché will take over from Pierre Zundel, who has been serving as interim president since Dominic Giroux left in the summer of 2017. Giroux left to become the president and CEO of the hospital in Sudbury, Health Sciences North. Haché is currently the vice president of research and innovation at York University. He has also served in academic leadership roles at universities in Calgary and Ottawa. "He is a strong visionary with a stellar track record in both academia and management," chair of the Laurentian University Board of Governors, Jennifer Witty, said in a news release. "Under his leadership, Laurentian will be well positioned to build on its foundation of success over the last decade," she added. Haché says he is excited to join Laurentian. "I cannot wait to begin working with students, colleagues and communities to build on Laurentian's successes, to strengthen and to build new partnerships through academia and industry."